I love reading anything about the early days of film making, especially the earliest examples of animation, whether they be hand-drawn or stop-motion as in the case of King Kong. So when I came across this old first edition published in 1975 by A. S. Barnes & Co., it didn’t take me long to fork over the purchase price! 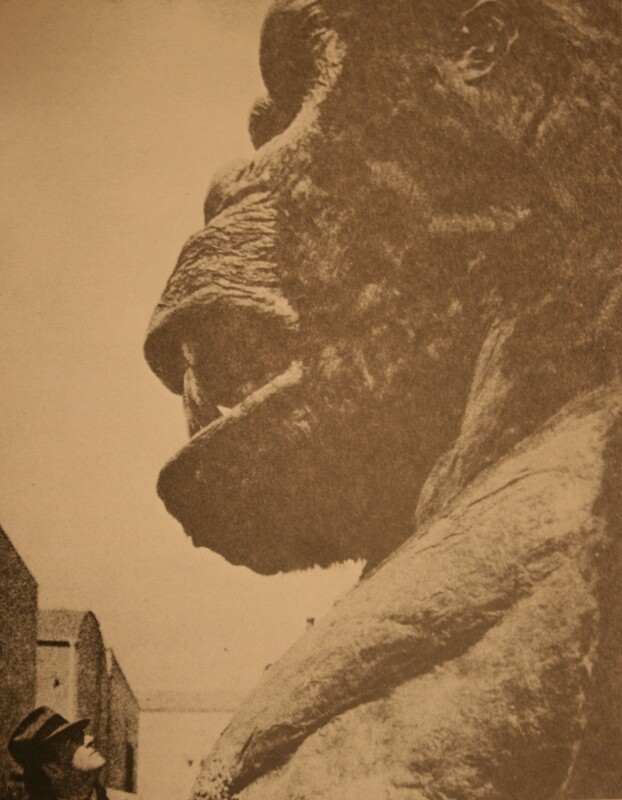 The book starts off by telling the wild and almost unbelievable film-making escapades of the two men who brought Kong to the screen: Merian C. Cooper and Ernest B. Schoedsack. They were known for getting seemingly impossible and oh-so exciting wildlife shots from around the world and putting them into jungle documentaries. These made money and proved a learning ground leading up to Kong. The bulk of The Making of King Kong is written in a tell-all format with so many details that it is likely for the true enthusiast more so than the average reader. Although the details of the filming are fascinating, the sheer amount of detail can be daunting and dry to read through at times. Did you know Fay Wray was a brunette? This behind-the-scenes picture certainly helps one to appreciate the scale of one of the models used to bring Kong to life! Again, we can see the scale here. There are over 160 making-of photographs throughout the book and they are a real treat to see, as some appear for the first time in this book. 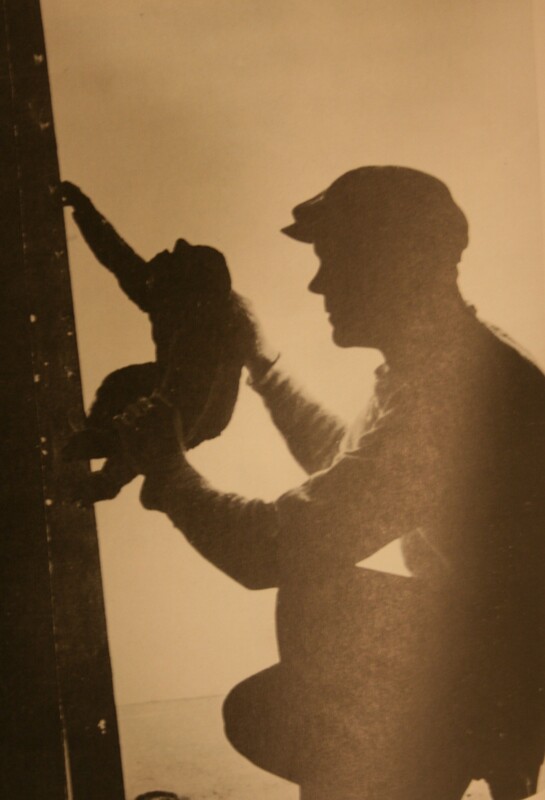 Willis H. O’Brien was the Chief Technician on King Kong and appears to be to Cooper-Schoedsack Productions what Ub Iwerks was to Walt Disney Productions. It’s not surprising that techniques invented and experimented with in 1933 would be picked up and ran with by Disney in later years! I would give this book a 4 out of 5 Stars for the masses, but a 5 out of 5 Stars for movie geeks and vintage film enthusiasts like me. Again, the book is amazing in its depth, giving very detailed explanations of early film techniques. But this is also a problem as these very same details can bog the book down and wear out the interest of the casual film fan. The book concludes with a filmography of sorts detailing the movies released by Cooper-Schoedsack Productions prior to and after King Kong. By reading this section one can gain an even deeper understanding of what led up to this iconic movie, and what it led to after its colossal success. You can buy this book on Amazon in both hardcover and paperback editions. Amazon readers/reviewers gave the book a 4.7 Stars out of 5.